These past few weeks have found Morrissey doing his best bit of damage control following comments defending sexual predators and hypothetically killing the one that is currently the president of the United States. In attempts to clarify some — but not all — of his comments, however, Moz would now like you to know that he was misquoted by a publication he spoke to. 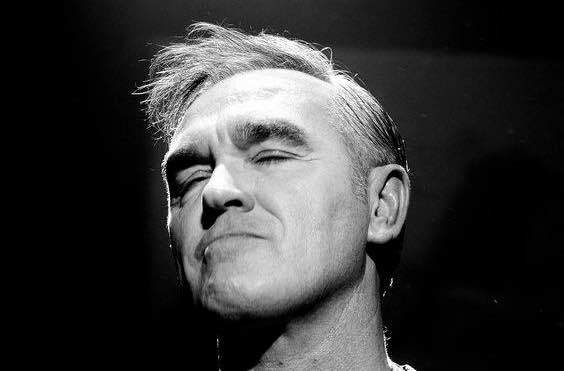 In a message posted to Facebook titled "The Slander System," Moz lists a number of hypotheticals in response to his quotes to German newspaper Der Spiegel, writing, "Would I kill Donald Trump? No, never. Would I support Kevin Spacey's private proclivities? No never. Would I ever support abuse of children? No, never. Would I support sexual harassment? No, never." Morrissey then tells readers to "forget the print media who are infatuated with their own reflection," before griping about how "[my] requests to Der Spiegel for an unchopped, un-fiddled-with audio of their interview with me has been refused." As a result of his interview with the German publication, Moz was with hit stories such as ours pointing out that he could be found defending the likes of Harvey Weinstein and Kevin Spacey — an act that obviously led to a ton of backlash for the singer. Morrissey's statement didn't address further comments made to British newspaper The Sunday Times, however, doubling down on his seriously questionable views of sexual harassment, which he called "a pathetic attempt at courtship." We can understand Moz looking for a win this close to holiday time, especially after some further skewering by GQ. Unfortunately, this likely isn't going to be it. Find his whole statement below.